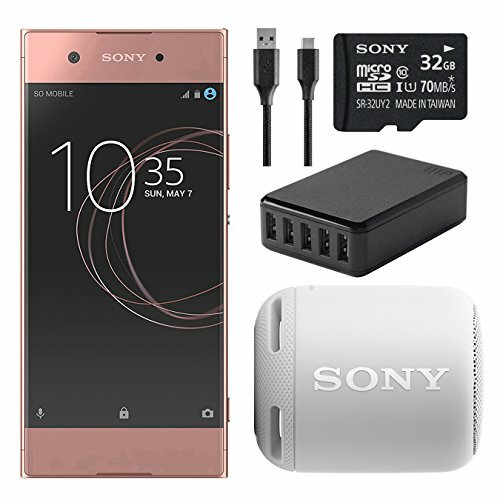 The Sony Xperia XA1 Ultra 6" Unlocked Smartphone (32GB, Pink) is an advanced cell phone designed for entertainment and taking incredible photos. With superior audio and video technology, a 6" edge-to-edge display and image enhancement technology such as Super Vivid mode, streaming and watching videos couldn't be optimized any better than with this phone. Smart Amp gives you better audio for movies, games and other media. Taking photos is an equally amazing experience with the Xperia XA1 Ultra, thanks to its high quality front and rear facing cameras. Its 23MP main camera comes with Predictive Hybrid Autofocus, allowing you to quickly and clearly capture moving subjects. The 16MP front-facing camera is equipped with Optical Image Stabilization (OIS) for smoother and more natural photos. This smartphone is also smarter than most smartphones. Smart Assist technology enables the XA1 Ultra to learn and adapt to your app usage, thereby optimizing performance and adjusting your settings for you. Plus, it has Qnovo adaptive charging, a feature that extends your battery capacity by as much as double, as well as Quick Charge to get you more life in just minutes. With the Xperia XA1 Ultra, you can do practically anything!